Hey Girl! I’ve missed you and these dance parties SO much. So I’m ready and I hope you’re ready to buckle up because it’s gonna be a WILD one, AND we’re partying for an entire hour longer! This Party will be held on Saturday, March 9th from 7:30-10:30 PM at The Lodge At Traverse in Lehi, Utah. 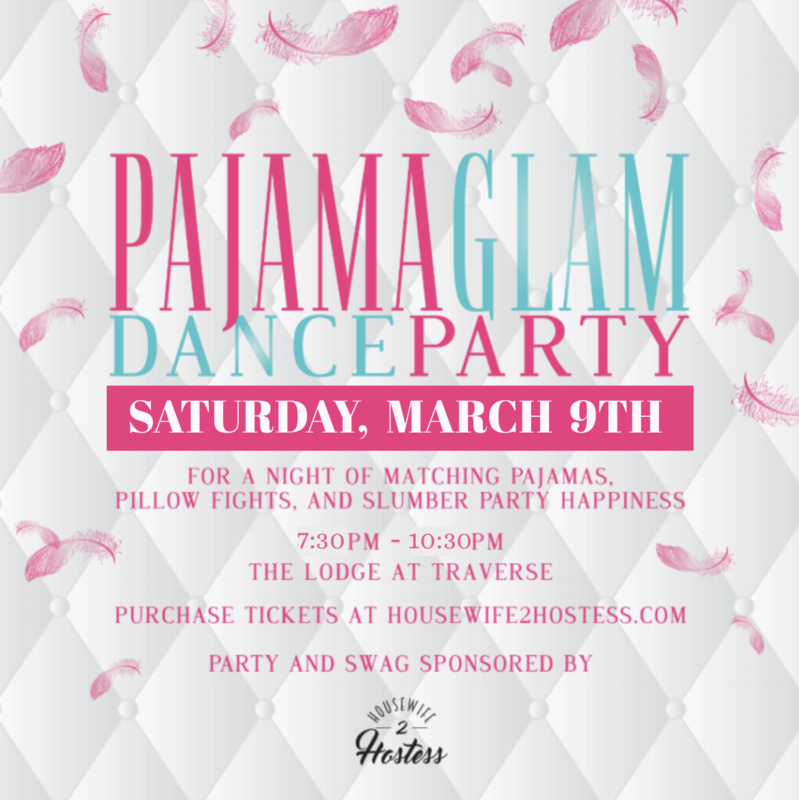 “Pajama Glam” Dance Party, is for women (18+) looking to make all of their Pajama Party dreams come true and enjoy a night of Matching Pajamas, Pillow Fights and Slumber Party Happiness! • One ENTIRE Evening of Pillow Fights, Jumping on the Bed, 90s Dance Party and Slumber Party Happiness to Dance All Night with all your favorite ladies. • My DJ Ricky Barrera, will have you dancing like Lionel Richie, All Night Long. • And EVEN MORE Pajama Party Surprises at the Event! I can’t wait to dance with you and make this the best pajama party ever! I have an amazing line up of sponsors who are ready to dazzle and spoil you ladies with a night away from work, chores, kids, and other obligations! Grab your best girls for an unforgettable night of pampering, healthy treats and feeling like the dreamy woman you are! I’ll see you on the dance floor! Become a Dance Party Insider and be the first to know about what’s going on! Click Here.